A court filing in mid-March indicates that over 850 women have brought lawsuits related to Taxotere in a federal multidistrict litigation (MDL). The MDL was specifically set up for claims related to the breast cancer drug, all alleging that Taxotere’s manufacturer Sanofi-Aventis failed to warn patients and healthcare professionals about permanent hair loss associated with use of the medication. All federal Taxotere lawsuits were consolidated for pretrial proceedings before U.S. District Judge Kurt Engelhardt in the Eastern District of Louisiana in October of last year. Centralization of cases is often done so that duplicative discovery regarding common litigation issues is decreased, potentially conflicting judgements from different courts avoided, and the convenience of parties, witnesses, and the courts best served. Each case filed concerns similar questions of fact and law. The claims center around failure to warn. They indicate that Sanofi-Aventis had knowledge of the connection between Taxotere and permanent hair loss, but actively marketed the drug for chemotherapy. 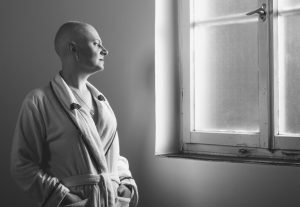 All the while, other breast cancer treatments that were at least as effective as Taxotere were available, and none of them has been associated with long-term hair loss. Alopecia — hair loss — is frequently a side effect of administered chemotherapy. This is known by healthcare professionals. However, the lawsuits indicate that Sanofi-Aventis’s information concerning Taxotere suggested that any hair loss would be temporary, and that the hair would regrow. This did not happen for many patients. The suits thus charge the manufacturer with false and misleading information. It is expected that more complaints will be filed and placed into the MDL. The MDL has schedule a conference upcoming on May 12.